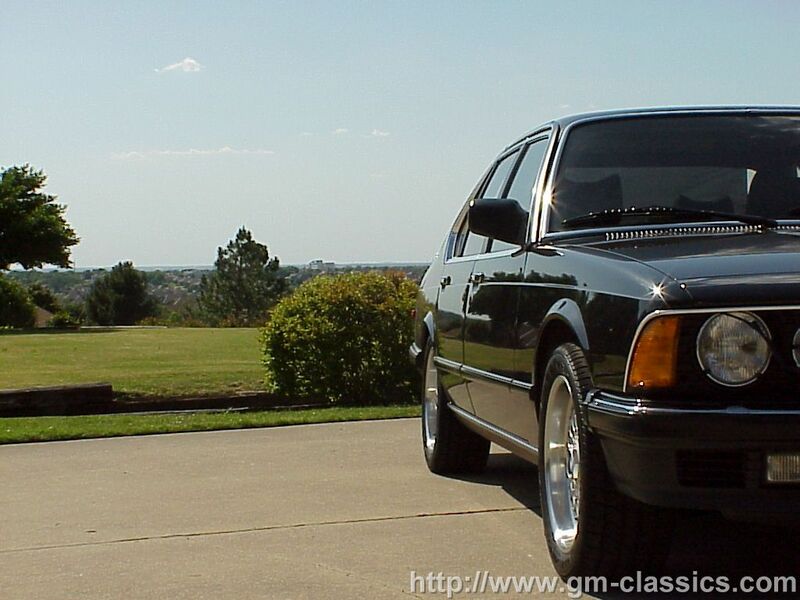 Here is my 26,000 mile 100% flawless #1 condition 745I Turbo Executive. 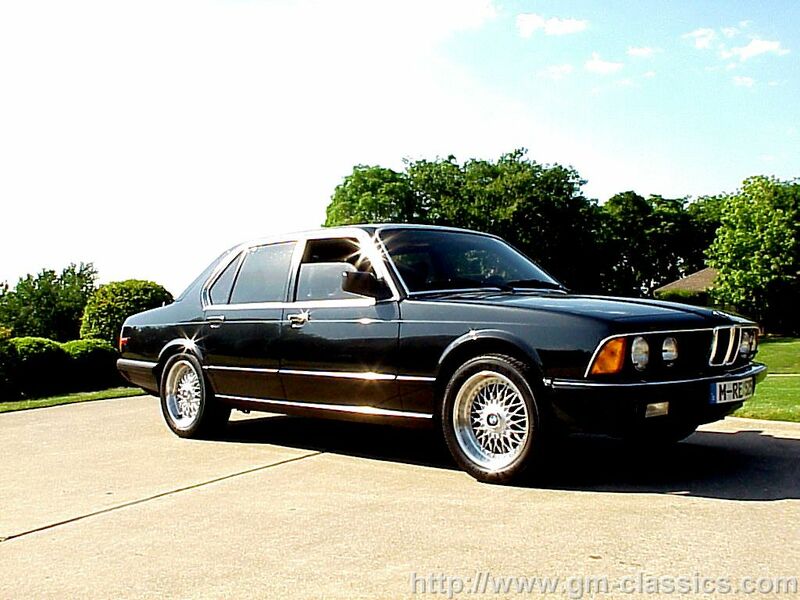 This car may be the lowest mile 745I Executive turbo on earth. 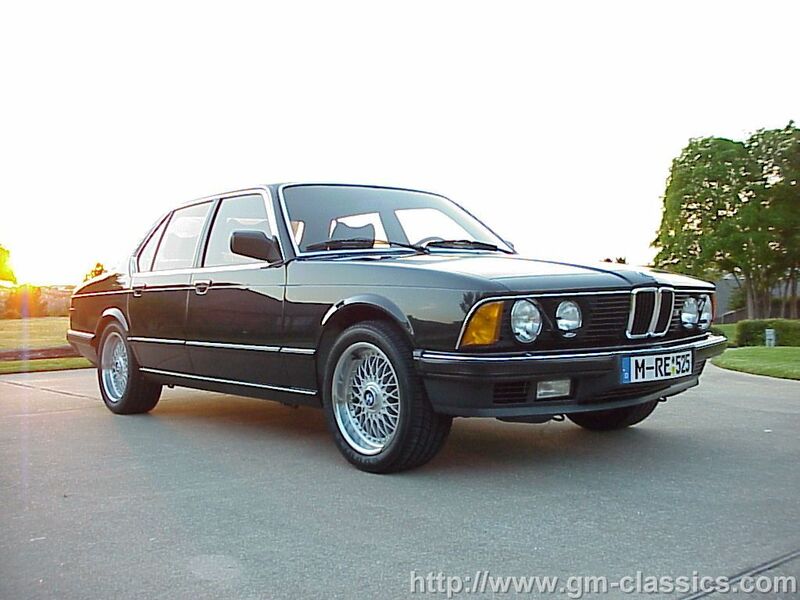 This car was purchased and brought to the US in early 1986 at the unheard of price of 60K USD. Since these cars were not available in the US market, it is a grey market car. This particular model was lucky and was spared the federalization destruction, other than the very basics that were needed to pass a visual. It retained the bumpers, lights, no door bracing protection, and no emissions! 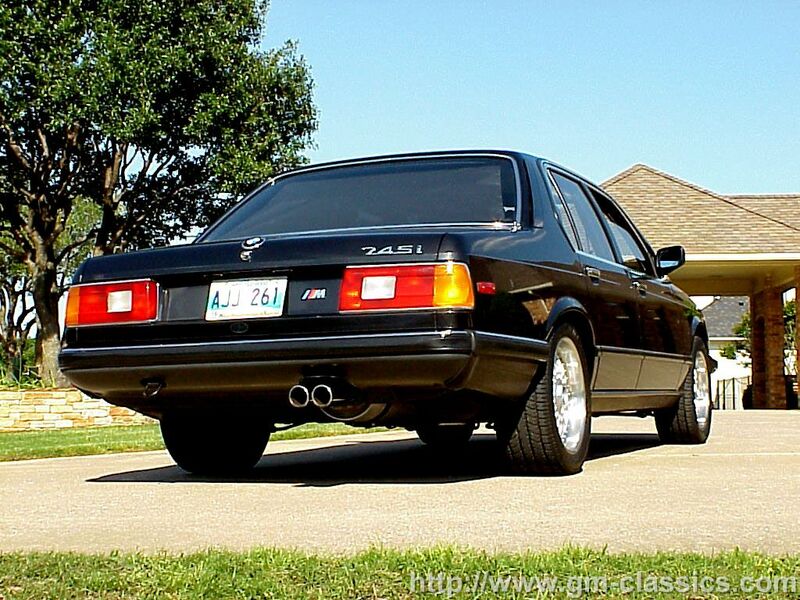 The 745I Executive is a 295HP 3.5 Turbo (M102) , ZF22HP 4 speed automatic utilizing a KKK27 Turbocharger, large Intercooler very similar to the Porshe 930 Turbo. 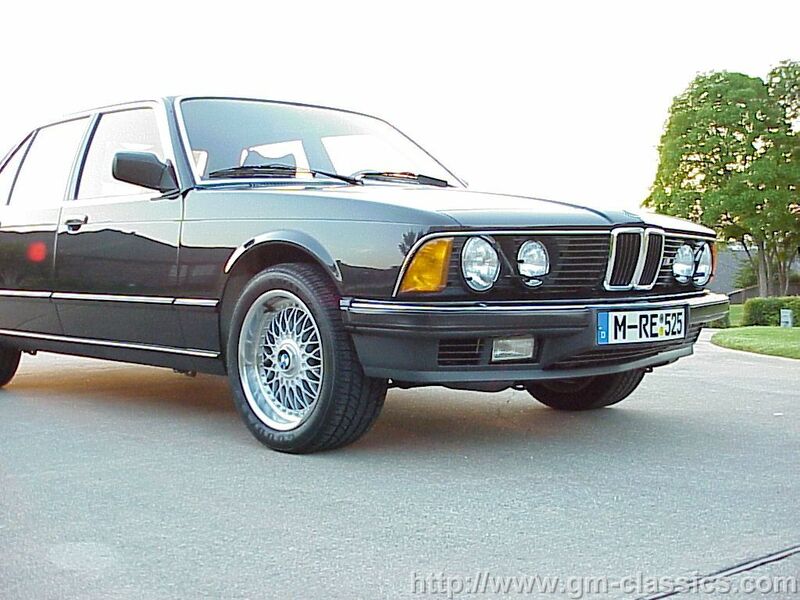 The car also has a massive cooling system, and oil cooling system that is special only to the 745I. 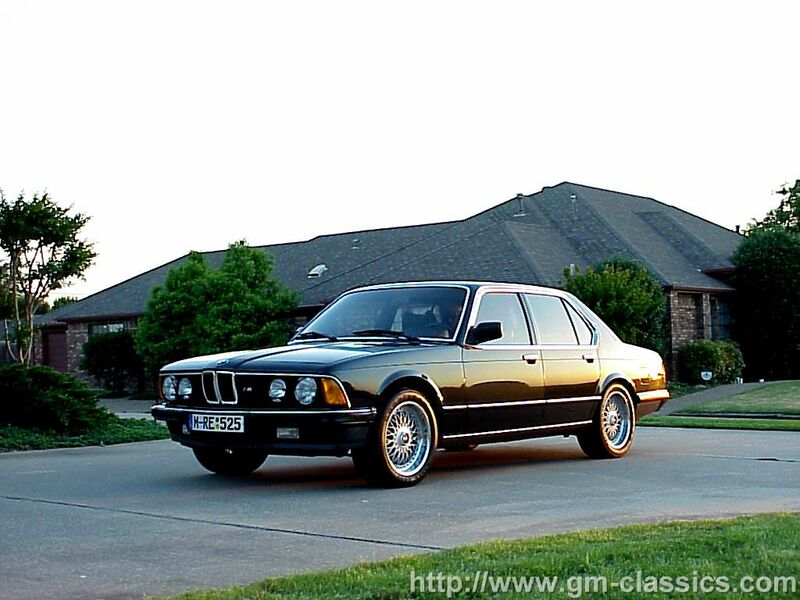 The 745I was a near 150MPH car in stock form with all the luxury options you can think of like heated front and rear seats, reclining rear seats and even more than the most loaded E23 offered. The Executive actually has Buffalo Hide seats. 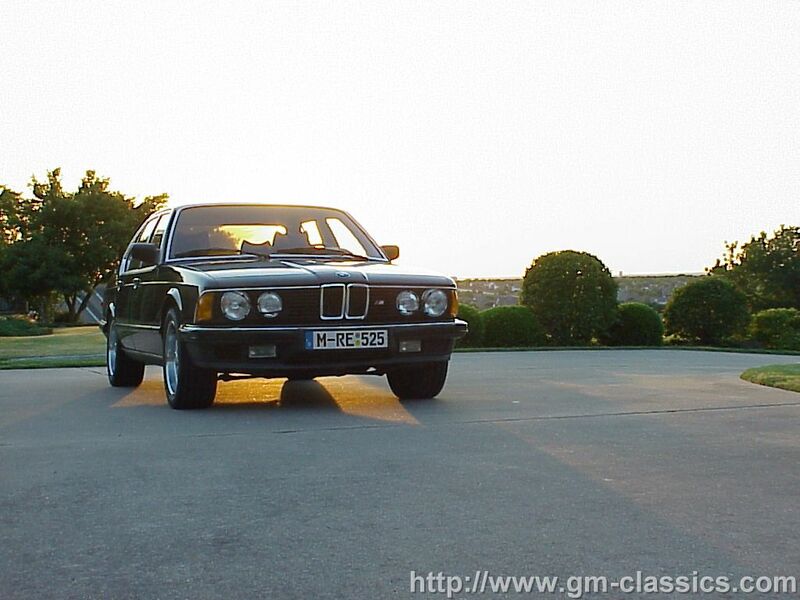 The 745i basically shared the same configuration as a 735I with the same sized big six platform. 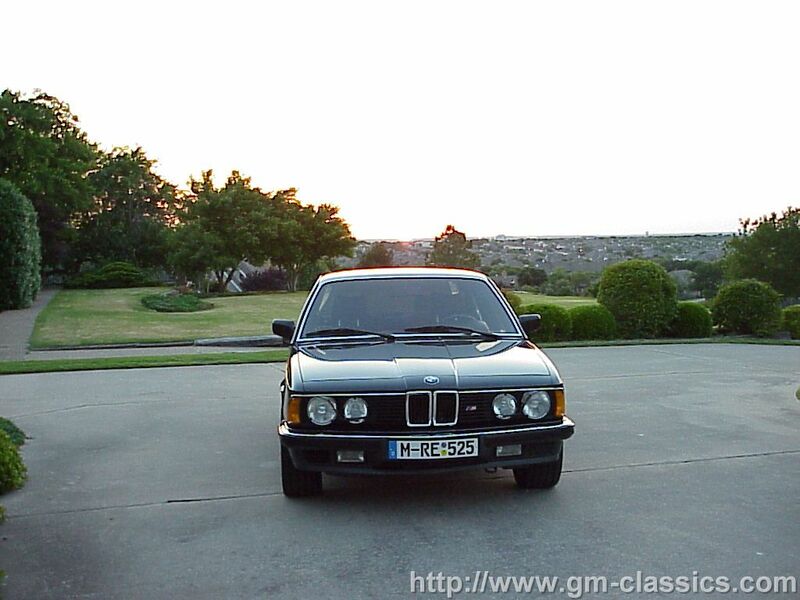 But owning both, I can tell you that the 735I is not even in the same solar system as the 745I. This is the way they all should have been. This particular 745 was kept in the hands of the original owner in a climate controlled garage, until I purchased it and "ruined" it by upgrading it to the way I thought it should have been. It still sits in a climate controlled garage along with its other brothers and is in better condition now than the day it was made and sees about 200 miles a year, but it now has some very small upgrades that are what you want to do to these cars anyway. First is the suspension... I have BMW springs that lower the car about 1" and have removed the terrible Self Leveling Rear Suspension. I also run Bilstien Sport Level Struts Front and Rear. This makes a world of difference! The 745I comes with large sway bars and the rear one that the 735 does not have. These are just fine and work well with the rest of the combination. I have put a rare and hard to find set of Momo R3 wheels on the car. (The car may show BMW 17x8 wheels in the photos as I have not uploaded the current photos with the lower springs and larger wheels.. It really looks good and I will get them on shortly!) The MOMO wheels are 17x9 and 17x10 running a 245/45 17 on front and a 275/40 17 on back. The MOMO R3 is basically like a Ferrari F40 wheel in looks, a classic 3 piece 5 star of the correct vintage for the car. Next is the performance upgrades. Since this is my second 745, and I have worked on many others, I knew what to do and what not to do to make this car fast without junking it up. Its real simple and here is the formula for any motronic 745... I just put the "BMW high altitude" chip in the motronic that many "tuners" sell as their own creation. This eliminates this version of the motronics fuel shut off at 10PSI and higher. ( I just so happen to have these chips if you need... Email me if you have an 84-86 motronic 745I). I then got a second waste gate, cracked it open and put an adjuster on it. Real easy to do with a hack saw and a spot welder. All you do is turn it up with a wrench to what you want your boost to be. 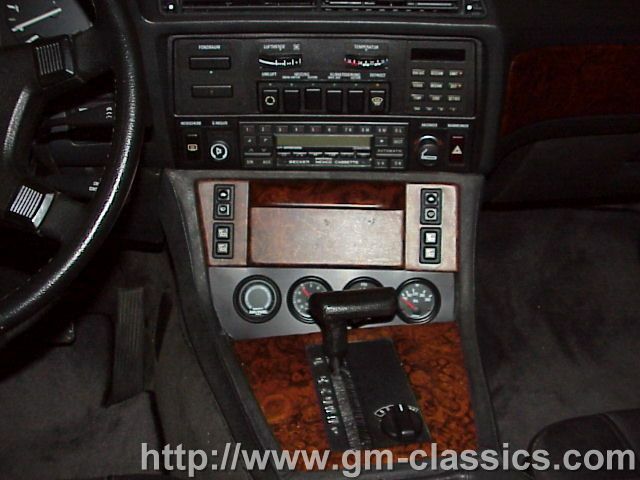 No aftermarket boost controllers or BS that will get you in trouble and junk up a nice car. I then disconnect the static line to the WG. This will allow the car to run up to 15PSI or more without shutting down as the chip took care of that, and the adjuster screw sets the boost. I then put a small aftermarket adjustable fuel pressure regulator (cartech) on it to give it just a little more fuel under boost. I never go past 15PSI, but if a person wanted to do that, I would say a bigger fuel pump would be needed at this point. I also gapped the plugs a few K less to keep from blowing out. I also built a custom dual 2.5" to the muffler exhaust, but used the 745I original muffler casing, so the car would look stock. I cut larger openings in it the stock muffler and have 2.5" in and 3" out with 3" tips out the back. I had this luxury as my car is low mile and muffler was perfect., otherwise I would have used some hot rod stuff like a magnaflow and made it look stock. It looks just like it should but bigger, and has a quiet, but tasteful sound. 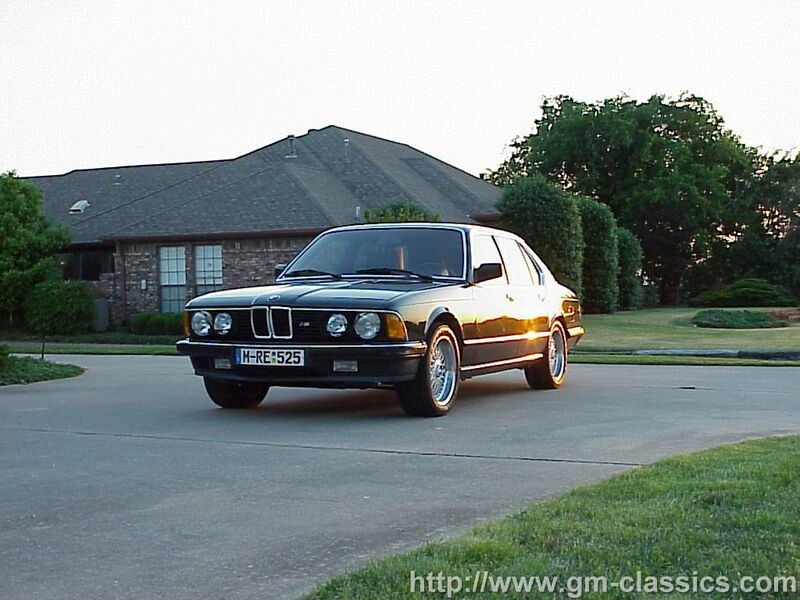 I also put a 3:92 LSD out of an M6 in the car for quicker acceleration. This is what I run now, but it needs to be a 3:45 to be perfect for both worlds. I do not like the 3:92 as its just a bit to revving for a torque engine. I am also certain that a 3:45 will even make the car accelerate a bit quicker as it will stay in its torque range longer. The 3:92 is just too much for this car, even though its very drivable at high speeds with the OD. Unfortunately the BMW 3:45 differentials are tiny little things compared to the "big-diff" that is in the 745 and is shared with the M6. I still have not found any big diff for this car other than a 2:93 (original 745) 3:73(euro M6) and a 3:92(US M6). Other than running at least 100 octane fuel this is all I have done to this car as of now. I don't plan on doing any more performance mods as it would take the original level away from this car. If I were to do anything, and this is a recommendation to those who have to rebuild a 745... Go back 9:5:1 compression and run a bit less boost. You will get rid of the lag and have more power overall. The lag is what hurts these cars and keeps them out of the 12 second arena. Uncovered after 2 years with new (older) Momo R3wheels. 17x9 and 17x10 wheels and lower springs, 275/40 rears! The 745 Just about 27K miles, its about all worn out! 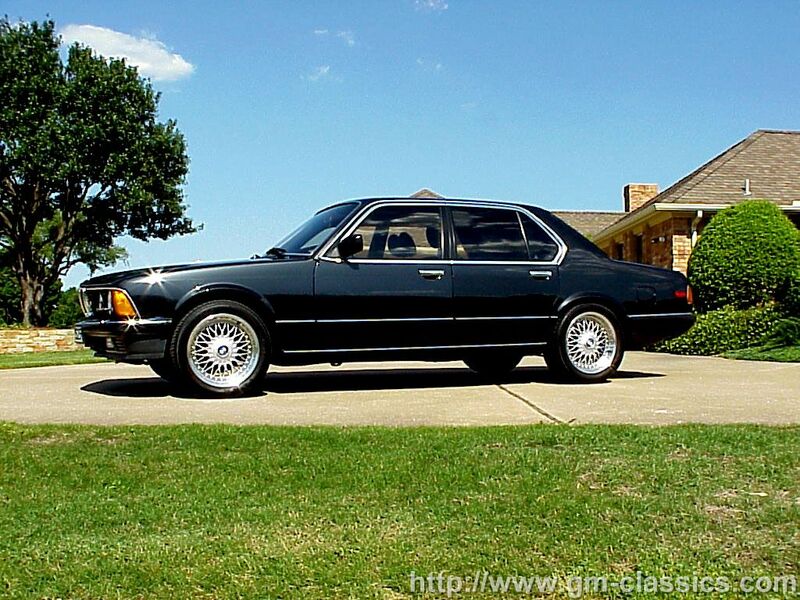 The late model 5 series wheels in the older photos went to the 735i a while back.